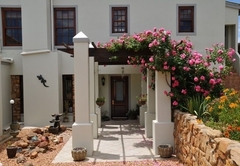 Peace Valley Guest House is a 4 star graded B&B with self catering option, offering Napier accommodation for tourists and visitors of Cape Agulhas. 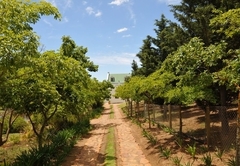 Peace Valley Guesthouse is set on a sprawling estate in the heart of Napier in the Western Cape. 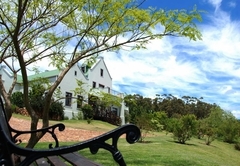 The Guesthouse offers superior bed and breakfast accommodation in addition to self-catering facilities for those wishing to have a DIY weekend away. 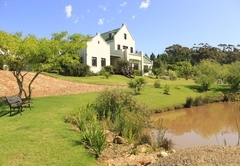 The two large dams directly in front of the main house are frequented by various waterfowl who will entertain you for hours with their endless games. 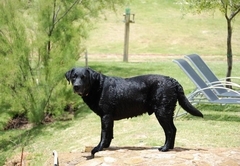 Geese, and Ibis and a pair of Hadida are regular visitors to the dams where you will often find the two resident Labradors, Lex and Chelsea, taking their daily swim. 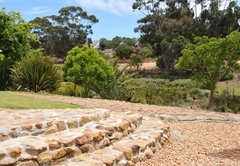 A family of Guinea Fowl have adopted the garden as home and an otter has been sighted several times visiting the dams as well. 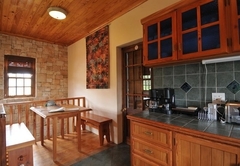 Peace Valley Guesthouse offers high quality accommodation at affordable prices. 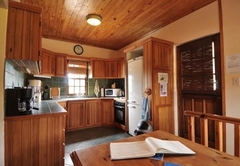 It sleeps up to 8 people and is ideal for groups. Smaller parties can also be catered for. 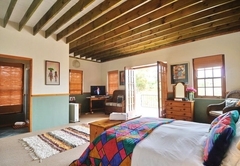 Front Room - double room with balcony overlooking the garden, queen size bed, en-suite facilities, coffee maker. 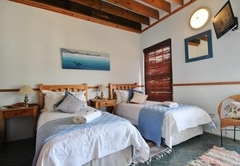 Family Unit - sleeps up to a maximum of 4 people – one double bedroom with twin beds and two further single beds in bedsit / lounge area, en-suite facilities, access to tea/coffee making facilities – ceiling fans. 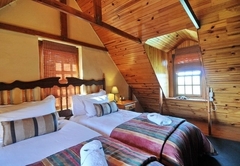 All rooms are provided with DStv, complimentary toiletries, high quality bed linen and towels. 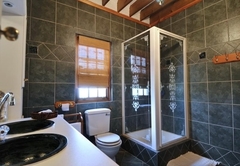 Heater and fans are available on request. 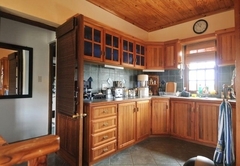 There is a fully fitted kitchen, laundry facilities, swimming pool, entertainment area and braai facilities. 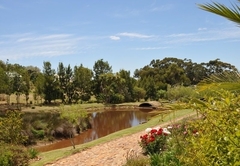 Parking is available on site and the property is fully enclosed with an electric entrance gate. 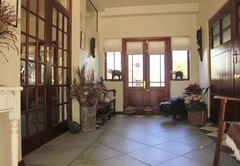 All guests are provided with a remote control for opening and closing the entrance gate at their convenience. 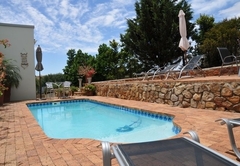 There are tables, chairs, sun-loungers and umbrellas situated around the pool and in the garden for the use of guests. 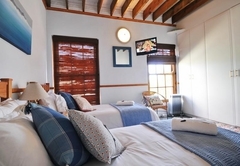 Double room with queen size bed, ensuite facilities, balcony overlooking the garden, DSTV. 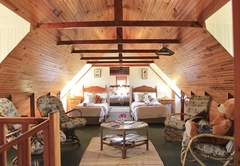 Front Room - double room with balcony overlooking the garden, queen size bed, en-suite facilities, coffee maker. 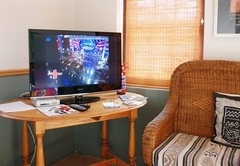 Family Unit - sleeps up to a maximum of 4 people – one double bedroom with twin beds and two further single beds in bedsit / lounge area, en-suite facilities, access to tea/coffee making facilities – ceiling fans. DSTV. 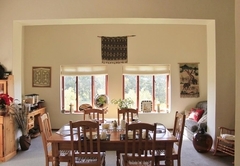 We spent a wonderful weekend in Napier - Peace Valley is the perfect spot to use as a base. 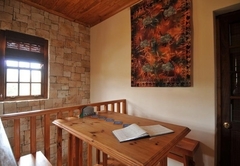 The room was spacious, clean and had everything we needed. The health breakfast was delicious and a perfect start to the day. Lorna is a wonderful host - thank you very much! We will be back! 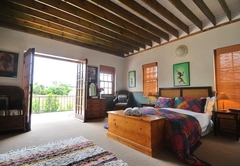 On our second visit to Napier we again spent 2 nights in the Peace Valley Guest House. As before, we were very pleased to be here in this fantastic place. Lorna Young is the perfect hostess. On our next trip to South Africa we will again visit Napier and stay here. Response timePeace Valley Guest House typically responds to requests in 5-10 minutes.